This title appeared in our newsfeed sometime in April 2016 and MS patients have been posting the link to conversation threads across MS online forums ever since. If you haven’t already been enlightened, the straight dope on this item is that indeed it is neither a new discovery nor a cure for MS. It is Chronic Cerebrospinal Venous Insufficiency, commonly known as CCSVI, and it first hit the medical news outlets way back in 2009. Here are highlights of the primary study results, subsequent studies and treatments done up until the present. Dr. Paolo Zamboni conducted a small study of 65 patients who had both MS and the condition of restricted neck veins known as CCSVI. By performing an angioplasty and opening these subjects’ veins, Dr. Zamboni’s findings concluded that this procedure relieved their MS symptoms. 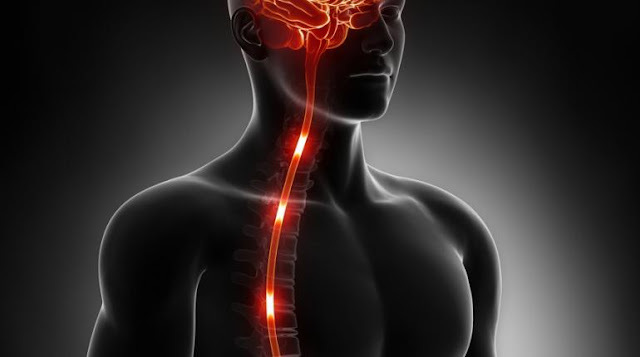 His hypothesis was that the vascular stricture impedes proper blood flow out of the brain, leaving behind iron deposits that cause MS-like lesions to form and nerve damage to occur, thereby causing the patient to become symptomatic of multiple sclerosis. Despite the powerful image of a geological formation of iron deposits being the missing link in the mysterious development of neurological disease, it would be wrong to assume that Zamboni earned the title of Iron Man years before Robert Downey, Jr. made the franchise famous. Studies were performed elsewhere in the world, and some showed a connection between abnormal veins and MS while others did not. As dramatic as the results were in Zamboni’s pilot study, the largest and most thorough double-blind randomized controlled studies have been performed in Canada and the U.S. and produced mixed results. Zamboni’s theory that MS has its roots in vascular disease has been debunked for the time being. The flaw in Zamboni’s hypothesis might be proven partly by the fact that so little has been mentioned about it during the past seven years and people forgot, thus thinking the latest headline was about something new. Still, it would be imprudent to ignore the numbers of MS patients who had the angioplasty and benefitted from it, some needing to repeat the procedure at least once after their MS symptoms returned. I personally know two people with MS who had the procedure done twice and temporarily benefitted from it, still feeling to this day that it was not a waste of time and money despite paying out five figures to travel a great distance with no guarantees and no insurance coverage. But there is an even more eloquent reason to abandon the vascular theory. Let’s look at what’s been in the news over the past few years. Stem cell therapy has been studied for quite some time. The hypothesis asserts that clearing and then rebooting the immune system can halt the disease and even repair damaged myelin. This approach embraces the conventional autoimmune theory that multiple sclerosis occurs as a result of a faulty immune response. According to neurologist consultant Michael Hutchinson, M.D., it’s been met with much less skepticism in the medical establishment than the vascular theory because the most effective treatments for MS are the drugs that modulate the immune system and reduce the number of relapses and new lesions. People with MS have done much to pressure the medical research community to explore alternative therapies that go off the beaten path of immunomodulation.